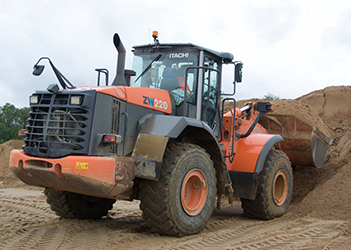 Wilkes are a family owned sand and gravel quarry, and the leading suppliers of aggregates and building materials throughout Dorset. Our team of aggregate specialists offer a wealth of knowledge in a range of areas; from decorative gravel to garden stones and chippings, our experts have the skills to meet your needs. As the leading team of gravel, sand, garden stones and top soil suppliers in Dorset, we have a great reputation across many different industries. Our services have been utilised by councils, national developers, utility companies, sports grounds and for public garden use. Our involvement in such a variety of industries has allowed us to obtain positive feedback from a diverse range of clients and helped us to improve and tailor our service to the specific needs of each and every client. When it comes to high-quality products at competitive prices, MB Wilkes is one of the UK's leading supplier of decorative aggregates, garden stones and soils from our base in Dorset. Our product list is continuously growing due to our strong relationships within the industry, allowing us, therefore, to offer the largest product range on the market, at the lowest, most competitive prices around. With our aggregates specialists, you can rest assured that you will receive the highest quality materials at the lowest possible price. Whether you're looking for pebbles in Poole, building materials in Bournemouth or decorative stones in Dorset, our professional garden stone suppliers have the solution for you. Affordable pricing due to our strong relationships throughout the aggregate supplier industry and our honest pricing policy. MB Wilkes we pride ourselves on our high standards of customer service, paired with our unbeatable knowledge of all materials, ranging from decorative garden stones to slate and pebbles. Whatever your aggregate needs, we won't let you down. Whether you're interested in receiving a sample of one of our products, would like to place an order or would simply like some advice from one of our garden stones specialists - contact us today on 01258 857465.